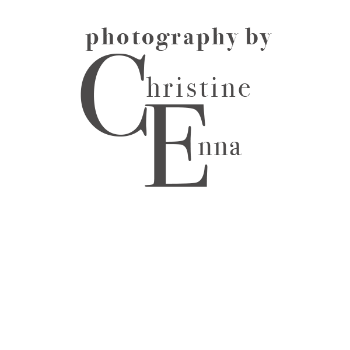 below to guide you in booking a wedding, commercial or a portrait session. We have a candid approach to wedding photography combined with a more focused approach for the traditional family portraits. Keeping the day moving while capturing beautiful and intimate moments is our goal. For typical 150 to 250 person wedding we provide two photographs, myself and usually Corey whose profile you can view on this site. However, we also offer a 5 hour wedding package that can be customized to your needs if you are having a small number of guests. Large weddings can feature two photographers and assistant. Besides our creative approach, we really pride ourselves on making our couples feel comfortable. For those who love the camera and completely enjoy the experience of taking pictures, well we think that's fantastic! Of course the more you put into it the more you get out, just like anything else in life. But we realize not every couple is a shutterbug, so our aim is to you to feel so relaxed in front of the camera you might actually forget we are there once and awhile. With over ten years of experience, I usually have a mental shot list that typically gets most of the coverage that you need. However, we love your input! Its great to be able to make this a collaborative experience between myself and the couple. Also, we do need to know a little about you and your families in order to get a clear idea of what is significant for you as a couple. We understand that weddings can be one of the few times families completely unite. Sometimes from all of the world! So, yes we do like to communicate before the wedding to make sure we capture everything important to you. DO WE GET THE HIGH RESOLUTION DIGITAL IMAGES? ABOUT HOW MANY? DO YOU SHOOT RAW FILES AND HOW LONG DOES IT TAKE? Yes. All of our packages include high resolution digital JEPG images. We do shoot Raw Files and edit, color correct and then present you with a USB port of around 700 to 900 images for a typical 8 hour day. Our 5 hour package usually produces around 500 or so images. We try to post up a "teaser" set of pictures to social media within a week or two of the wedding and then the rest of the images can take five to six weeks. WE (OF COURSE ME! )will be there! Or if something truly tragic or difficult occurs one of my second photographers will step and we will find another. We belong to a strong community of photographers in the area. And it once happened that I needed to fill in for a fellow photographer at the last moment. We have you covered. WHAT IS YOUR STARTING PACKAGE PRICE? We offer a five hour package starting at 1,750 and a full day package starting at 3,250.00.